Benny Ling's Bling | Computers are like a bicycle for our minds. There was this one time, at band camp, when a customer brought in a working Macintosh Classic. We just had to display it next to the mid-2010 (?) iMacs for a few days. Wouldn’t be able to do that an an Apple Store. 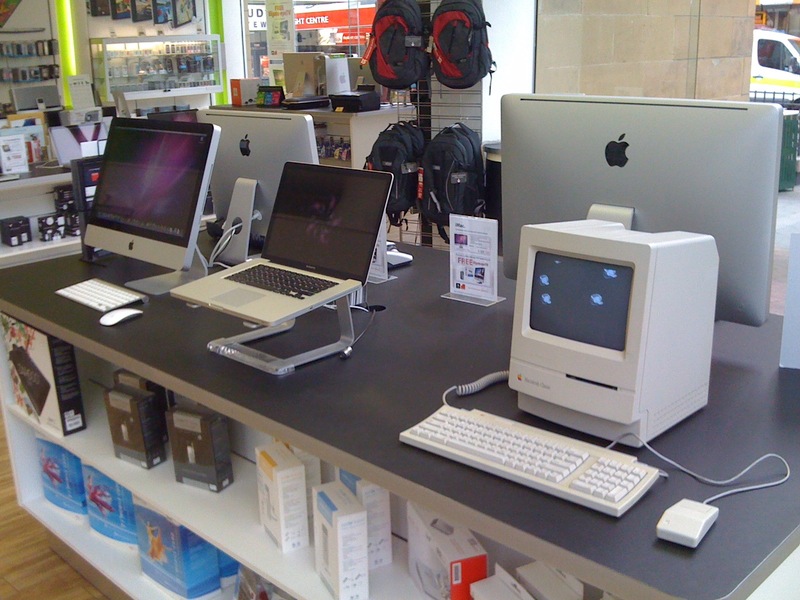 At its peak, the Australian Apple Premium Reseller called Next Byte had more than 20 stores nationally, and I spent the tail end of my high school and all of my uni-going years at just one: Next Byte Hobart. Today, the Apple landscape in Australia is a lot different to what it was a decade ago. Borne off the back of the smartphone era and being one of the biggest companies in the world, we now have more Apple retail stores than we ever had Next Byte stores. In a world of slim profits on Apple hardware and an unparalleled customer experience from the Apple owned-and-operated retail locations that’s extremely difficult if not outright impossible for any reseller to match while maintaining some semblance of profitability, any third-party Apple presence is either small enough to fly under the radar, or niche enough to carve out a market of their own. 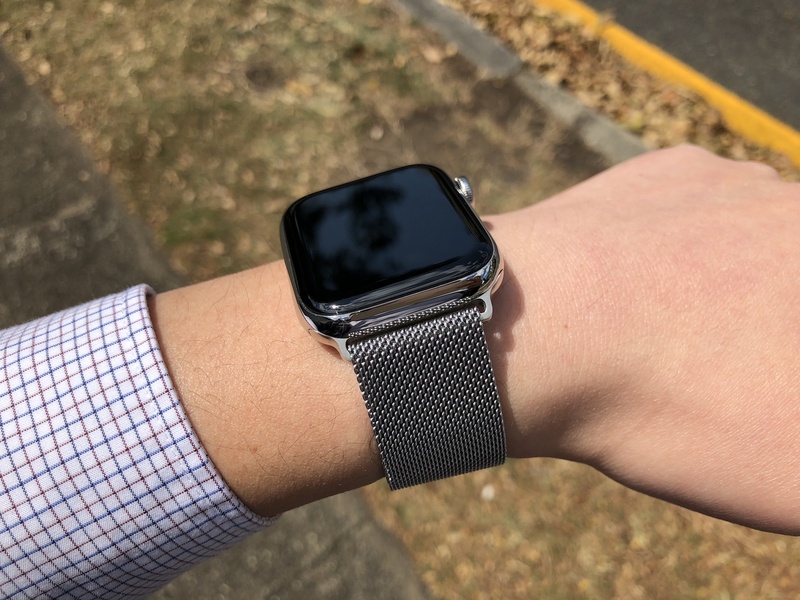 For the rest of us, Apple retail stores in every capital city CBD besides Melbourne, Darwin, and Hobart means our in-person sales and service needs are fulfilled, with any gaps covered by Apple’s online presence and general electronics resellers. The latter of which are all too eager to carry products from one of the most popular brands in the world; even if that’s not where they’re making the majority money, it’s yet another drawcard in their fiercely competitive deck. I have plenty of stories from my time at Next Byte. Maybe one day I’ll even write about a few of them, once I’m a little more comfortable the statute of limitations has passed. The one I want to tell today is about some of the stuff I learned while working there, and the confidence that came from some of those experiences. In every sales role, there’s always some sales-specific training. Whether you’re a sales consultant1, associate, specialist, or whatever title your corporate overlords have decided to bestow upon you, chances are, at some point, you’ll get some training on sales technique. If you’ve been in the role long enough, you might even see significant changes in your organisation’s sales strategy, which usually goes something along the lines of attempting to move as much product as possible regardless of cost, focusing on metrics like conversions, to something that’s a little more nuanced, while still prioritising metrics like average invoice amount that prove you’ve really listened to the customer while selling them as much as possible. Then you’ll definitely have some sales training. It’s a normal day in 2014. Probably. I mean, I could have made that up, but I think it sounds about right, if I think about the rough timeframe that I think these events occurred in. It was during one of these aforementioned sales training sessions that I learned about closing the sale and handling objections. You know, the business end of the sales conversation that you usually have. The part where you get to find out what, exactly, the customer has a problem with what you’ve sold them on, or perhaps that they’re just not interested in buying today. This particular training session was big on roleplay, so we were paired off and practiced closing sales and handling objections. For the life of me, I can’t remember what the recommended approach to handling objections was2, but I can tell you that it didn’t match up with my own. If I had spent the last 15-20 minutes talking to a customer about a new MacBook Pro, for example, and they had been extremely non-committal about taking it today, then apparently you’re not supposed to straight-up ask the customer exactly what they’re hesitant about. I know, right? News to me too. But as it turns out, asking the customer about their hesitation is frowned upon. At the time, I didn’t really get it, and the people delivering the sales training were incredulous, mixed with curiosity: why would you directly ask a customer about their trepidations, instead of backing down, accepting their uncertainty, handing them a business card, and letting them go about their business? As I explained, I thought that if you had determined that they were in the market for whatever they wanted to buy, answered all of their questions, assuaged their fears and concerns, and otherwise completely performed the full sales process, you had some right to know why they weren’t willing to take it then and there. I said that if you had done your job as a sales consultant, listening to their needs and wants, then pairing each of those up with a solution, then why couldn’t you know why they didn’t want to take it home today? It’s not as if that simple question removed their right to give you a perfectly valid reason in return, in which case yes, I would absolutely give them a piece of paper with my name on it, and then let them get on with the rest of their day. And sure, I get that people have their own reasons for not wanting to drop a few thousand on a new Mac, especially at the drop of a hat. But if, during our sales interaction in the time they were in the store, I had correctly worked out that they were in the market, and was confident enough that I had done everything in my power, and given them all them all the information they needed to be more sure about their own decision, then I would have thought I have some ground to stand on when asking them about their reasons for not whipping out the plastic. I think I remember the trainers agreeing with me. Perhaps somewhat begrudgingly, but agreeing nonetheless. I like to think it was this same assertive confidence that let me approach every customer with aplomb. Safe in the knowledge that I would be able to handle every interaction, even if it were slightly technical or needed me to quickly demo some great new feature that was the best thing since sliced bread. I knew that as a fresh teenager and/or awkward unit student, even if I didn’t have the interpersonal skills needed to to quickly secure some kind of rapport within the first five seconds of our interaction, I would be able to nail any kind of product-question they threw my way. I knew that sometimes, all it took was a enthusiastic attitude and a slight grin to connect with the customer in those first crucial seconds. But knowing when to ask about a customer’s objections? Knowing when to push and how Now that’s assertive confidence. I’ve played a lot of video games in 2018. I got a taste of the grind in Destiny 2 when it was free, fought in the frontlines in Battlefield 5, taken down other drivers in the Burnout Paradise remaster, constructed mining ships of my own design in Space Engineers, explored a vast universe in No Man’s Sky, and even tried out the DayZ 1.0, alongside my usual staple of Dota 2. But besides all the well-known games that I’ve played, there have been exactly two indie games which have been great enough to capture my attention, and this post is about one of them. Return of the Obra Dinn is from Lucas Pope, who you might better know from the immigration paperwork game Papers, Please. 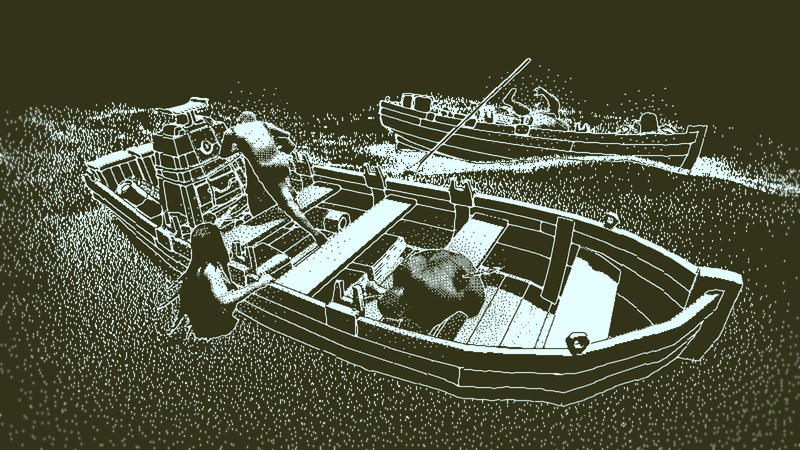 Return of the Obra Dinn is slightly different, in that it’s still about paperwork, but this time around you play the part of a insurance investigator. Officially, your job is to determine how much should be paid out to the crew of the good ship Obra Dinn, which in turn means figuring out all 60 crewmembers, and their fates. To aid you in doing so, you have a magic pocket watch. And a notebook, but we’ll get to that later. One of Return of the Obra Dinn’s core gameplay loops involves finding a dead body, standing over it, and then using your magic pocket watch to go back to the moment of that person’s death. These death scene freeze frames don’t allow you to interact with anyone or anything, with the idea being that you can walk around, observe, inspect, gather clues, and hopefully identify who was present and what was happening, all from a few voice lines and a still frame of the exact time they died. Sometimes, one death scene will lead to the discovery of another body, which is another scene, and so on, until you have a little series of events. These events, in turn, make up “chapters” within your notebook, which describes itself as the catalogue of adventure and tragedy that befell the Obra Dinn. By going around the ship, discovering more and more bodies, and more and more scenes, you’ll start to build up a depiction of the characters so you can start putting names to faces — no easy task, given the one-bit graphics and often obscure clues and hints that you’ll need to pick up on. Make no mistake, Return of the Obra Dinn is hard. The game warns you fairly early on that in your quest to identify all 60 passengers and crew and their fates, definitive information that will let you decisively identify someone and their fate is rare. While you’ll usually have some idea of how a person died thanks to your magic pocket watch, working out who they are based only on contextual clues — what they’re doing in any given scene, what they’re saying, what they’re wearing, who they appear with — is challenging in the extreme. The game helps by blurring faces in the notebook until it thinks it has revealed all the information you’ll need to positively identify someone, but you’ll still need all of your powers of observation to do so. At times, you’ll need to jump between different scenes in order to work out who someone is, taking a look at where they are, what they’re doing, and so on. It’s all very murder-mystery. Only instead of trying to work out who (or in some cases, what) did the deed, the real challenge is putting names to faces. Unfortunately, that’s also where Return of the Obra Dinn falls short. There’s basically no replayability, given that once you’ve figured everything out, that’s how it is for the rest of time. It’s for this reason that I don’t recommend doing what I did and looking up a guide, no matter how stuck you are. The problem with this kind of game is that it’s hard for a guide to point you in the right direction, and they may end up just spoiling a few characters or two. Instead, I recommend using all the available clues; the game provides you with all of the details that you need to identify someone, even if they’re obscure as all hell. Once you’ve unlocked every scene, go through and review all of the scenes an individual appears in and try to work out who they are based on what they’re doing, who they’re with. In any scene, there’s usually something that gives away who someone is, even if you have to use a different scene to know what that is. Return of the Obra Dinn is currently $28.95 (that’s Australian dollars to you, pal) on Steam, and you should absolutely buy it if you’re at all a fan of putting your observational skills to the test, feeling like a right Sherlock Holmes when one of your inferences pays off, or just lucky when you guess the identities and fates of people you have no idea how to otherwise identify. It’s a masterpiece. I’m taking this holiday season off work. Normally, I wouldn’t have any issues with working through the Christmas and New Year periods. They’re my favourite time of the year for working, mostly because everything is super chill, and because there are a lot of other people who are also taking the time off work, you can usually get some personal projects completed that you wouldn’t otherwise fit into your regular day, or put a little extra care into getting something done right. Work is interesting like that. Even though I have far too much annual leave banked up and zero other commitments, there’s a small part of me that would still like to be working over the break. I know a few other people that use the holiday period to zero their outstanding annual leave balance for the year, taking whatever leave they have remaining after the year is done and dusted to rest, relax and recharge, allowing them to come back and start the new year with a renewed vigour and zeal for whatever lies ahead. It’s not that I’m a work-a-holic or anything, either. I feel like have an excellent work-life balance otherwise. I rarely stay past the prescribed hour, and use my full lunch breaks as a way to get away from work for a bit. My only flaw is that I perhaps check work email a couple more times than strictly necessary over the weekend, but even that only adds up to a minute or two of distraction over the course of a normal weekend. No, I want to work during the holiday season because it’s the coolest period of the year (attitude-wise, not temperature). Sure, you might be stuck in the office with the rest of the poor folks who drew the short straw. Or perhaps they, like yourself, volunteered to keep the lights on, and have now been charged with making sure that nothing breaks too badly while everyone else is drinking their eggnog, watching the cricket, or spending some quality time with their friends and family. 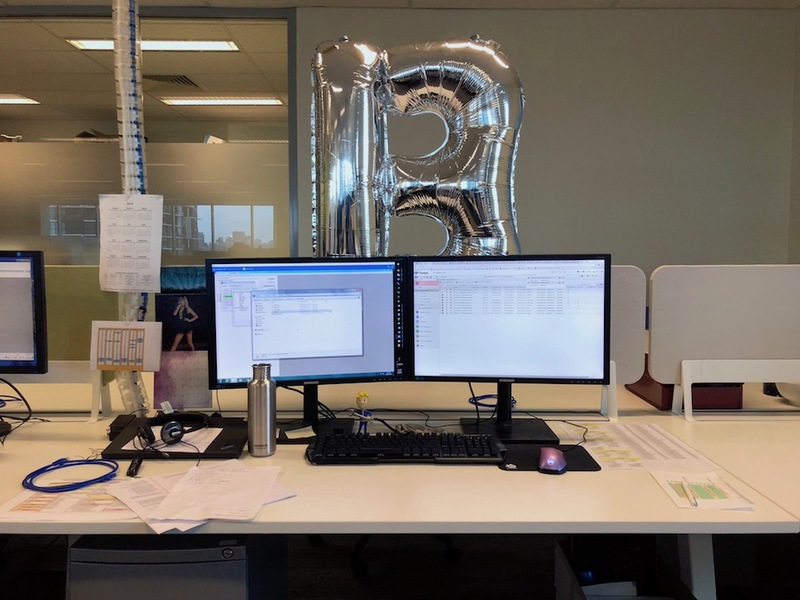 But because there are a lot of other people away from work, the usual pressures from the business dissipate, and all you’re left with is whatever your manager has decided they want you to work on over the break. If you get that done to their satisfaction, then the rest of your time at work is yours, free for you to finally work out how that esoteric system works, improve that thing that you’ve wanted to touch all year, fix that problem that needed more investigative time than your usual day would allow, or automate some process that probably should have been automated years ago. I mean, what else am I going to do with my time off? 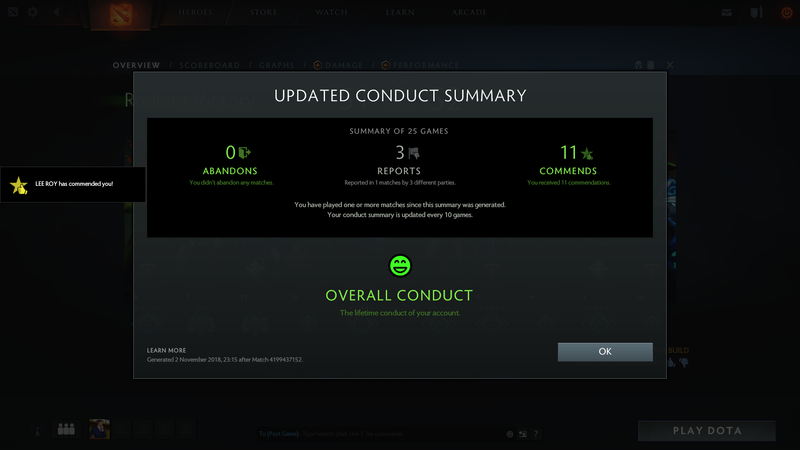 There are only so many games of Frostivus you can play before you realise that maybe you’re the reason why your team can’t get past wave 12 of Tinys, and that perhaps Luna isn’t the ideal hero despite having built-in wave-clear, an aura that buffs your teammates, and scales well enough into late game to be truly formidable. Even though I can string creeps along and kite them all around the map, it’s my fault that my teammates decided to hide in base and get overrun. So yes, a small part of me wants to be working over the break. Even if a not-insignificant portion of that is because I have basically nothing better to do. A few years ago, Instapaper introduced the concept of personal profiles of everything that you liked via the read-it-later service. Which is great, seeing as it’s a public list of reads that I, well, “liked”, but less good is that there’s no context around why I like a particular piece. Which led me to Time Turned Back, the other Harry Potter fanfic I found after a bunch of filtering and sorting of Archive of our Own works. I’m not sure I can stomach some of the more explicit fanfics, or stories from alternate universes that don’t line up with the canon, but this one about time travel is believable enough, and is a pretty good story to boot. If it wasn’t for its slight deviations from the canon at the end, it would slot nicely somewhere in-between the fifth and sixth books. Sometimes I read things that inspire me to be a better writer, and this one on the etiquette of the work bathroom is one of those pieces. It’s very well written, even if I’m slightly too daft to understand the implication at the end. The last time we talked about backpacks, I was discussing how content I was with the Incase Campus. Despite not being particularly flashy, or having any really unique selling point, I enjoyed how light it was when empty. It was this combination of being super light and super compact when empty that allowed me to carry it everywhere, just in case I found something I wanted to carry home. I don’t remember buying the Campus online, but I do remember how I stuck it in my wardrobe and kind of forgot about it, until I re-discovered it a few years later and decided to take it with me when I moved to Brisbane. I remember taking it overseas, to the US and The International 2015, and having it serve as my all-purpose, all-rounder backpack — capable of holding all my groceries during my weekly shop, everyday essentials, and whatever else I wanted to carry around. I ended up putting it through the wash, which turned out to be the beginning of the end as a tear developed at the top near the zip. Due to its placement near the zippers which only exacerbated the fraying of fabric that followed, within a few short months the tear was big enough that zipping up my backup was, more or less, an exercise in futility. I began looking for a replacement. I had heard about the OnePlus Travel Backpack from The Verge, who said at the time that it was the best OnePlus product of the year — a scathing comment for a smartphone manufacturer that had just released the OnePlus 5. 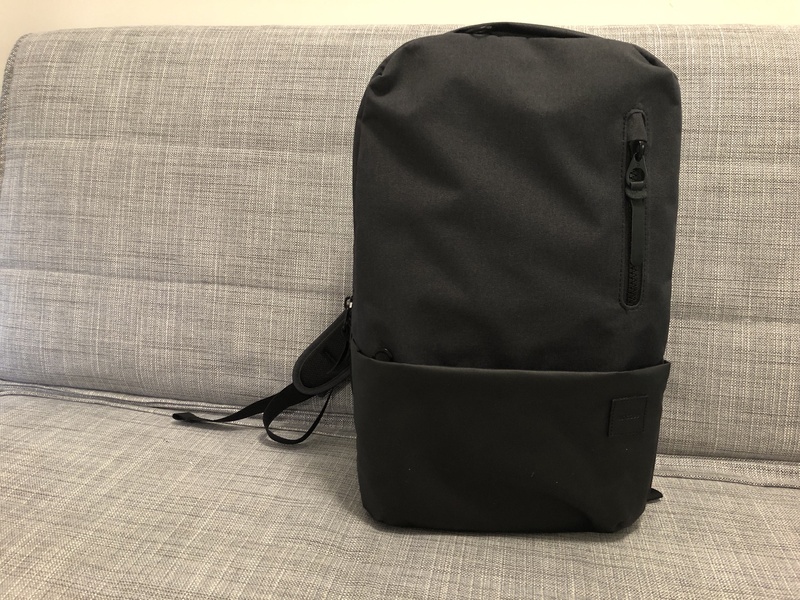 But the Travel Backpack looked the goods, and provided it was as functional as they said it was, combined with the same understated, yet minimal and modern look that made it not too dissimilar from my Incase Campus, it would make the ideal replacement. But by the time I decided to buy the OnePlus Travel Backpack, sometime in early 2018, OnePlus themselves were no longer selling it. I was initially disappointed, dismayed at the prospect of having to spend another few months looking for another great backpack, until one day I decided to take my chances and take a look on AliExpress. After all, if there’s one thing Chinese manufacturers are good at, it’s producing decent knockoffs of real products, and I thought I had pretty good chances of them copying a Chinese-designed backpack. I ended up finding and buying the OnePlus Travel Backpack on AliExpress. Although I’ll probably never know how close it is to the real thing, if it’s a fake, it seems to be a near-perfect copy, as far as I can tell. Everything carries OnePlus branding, including internal labels and zip pull tabs, right down to the removable tags you get on products. Plus, it seems to have all the same features as the OnePlus website says it should. 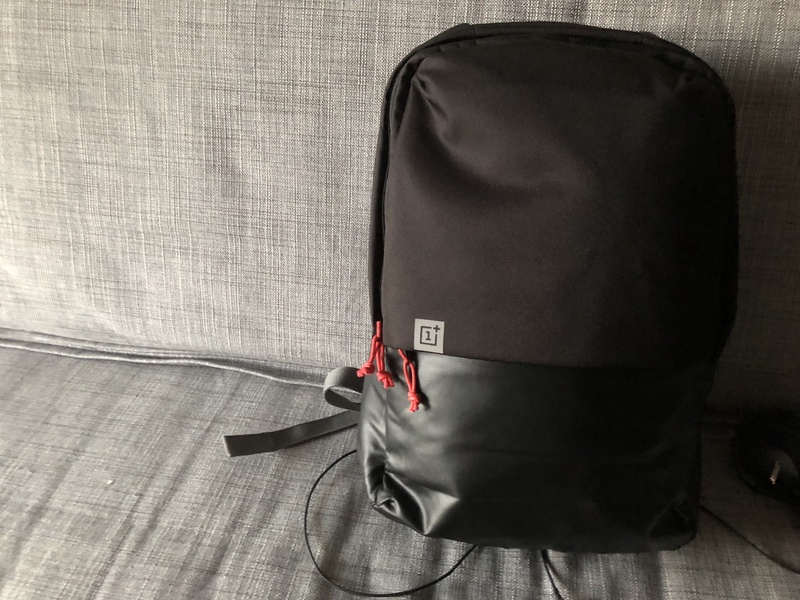 And as far as being an actual backpack goes, the OnePlus Travel Backpack is not bad. It’s heavier than the Incase Campus, but the trade-off is increased durability and slightly more protection for whatever I’m putting inside. I packed it full of stuff for a three-day weekend trip to Sydney, and it carried all of my stuff without kicking up a fuss, and was comfortable enough on my back for the better part of a day, so I guess it passes the basic backpack litmus test. But it was the extra weight of the Travel Backpack that made me realise I couldn’t use it as my new go-everywhere, do-everything, backpack. The specs say it’s about 1.1KG, which isn’t much, but that makes it about four times heavier than the positively featherweight Incase Campus. I didn’t like the way it was always sticking out from my back, regardless of the contents — unlike the Incase Campus, additional structural support meant that it doesn’t collapse down to a more compact form factor when empty. I got very close to picking up a super-lightweight something-or-rather from Crumpler made out of what I thought had to be the thinnest material known to man, and probably could have been happy with that. I wanted a backpack that I had looked at a while ago from a local company, but it, too, had been discontinued. I lusted after the GR1 (again), balked at the price (again), and decided I could find something cheaper and lighter. Incase had another sale recently, and I decided to have another look. If I found the now-discontinued Campus the first time, they had to have something similar, right? As it turns out, the Incase Compass is pretty similar to the Campus I had originally, at a price I was prepared to pay. The material is a bit thicker, and there’s slightly more padding all over, meaning that it doesn’t get as compact as the Campus did when both are fully empty, but it gets pretty close. I really like the "chunkier zip style" of the Compass, although I’m not a huge fan of the faux-leather pull tabs. There’s now internal organisation pockets in the front-bottom zipped area, the front-top zipped area is larger, and there’s a new small pocket at the top that I’m not completely sold on – due to its location, when you open up the main bag compartment it’s the first thing you see, just hanging there. The pocket itself has a bunch of faux-fur padding, so maybe it will come in handy for delicates. Since about 2010, I’ve been looking for the name of a book. Not all the time, obviously, but every now and again. Sometimes I’ll plug a few words into Google to see if, by chance, I’ll be able to stumble upon some crucial detail that will let me get one step closer to something more specific than “futuristic/sci-fi adventure book for young adults”. Other times, I’ll wander rows and rows of second-hand books, on the off-chance I’ll be able to recognise the front cover amongst a sea of other titles. For years, despite being able to recall the majority of the plot, I was never able to remember anything specific enough that would let me get any closer to being able to Google the title, the author, or even the publisher. There were nights I’d dream about finding the book with some of my old things, or even dream about reading the book, but for whatever reason I was never able to read the title, and it remained elusively out of reach. I like to think I have a pretty good memory, so you might be able to understand my frustration at not being able to remember something as simple as the name of a book I read over a decade ago. And honestly, it got to the stage where I didn’t care about the book itself. I’d long ago confined myself to never being able to read the book again, which was fine — I knew how the plot went, anyway, so being able to read the book again was inconsequential, in the grand scheme of things — but after all this time, it became less about finding the book and just being able to know the name of it so I could put the whole thing to bed, get some closure, and let something else occupy that particularly obsessive part of my mind. In June 2013, I posted on my blog about it. Not that I expected anything to come of it, but more as a marker, something I could refer back to, and refine as I remembered more details. I knew that it was possible someone would read it, know the exact book I was looking for, and get in touch to tell me about it, but I wasn’t exactly holding my breath for that to happen. It was more for me than anyone else. At the time, one of my Twitter friends told me to post to Reddit’s Tip of my Tongue subreddit to try my luck, but I off-handedly dismissed the suggestion, offering the (admittedly very weak) excuse that I didn’t have a Reddit account. Fast-forward a couple years, and I’m still no closer to finding out any details about the book that I read as a teenager. I do remember wading through dozens of pages of youth sci-fi/adventure books on Amazon in the vain hope that I’d recognise the cover, even if I had no idea what the title was, but that, along with everything else that I’ve tried, was as unsuccessful as any of my earlier attempts. It’s August 2018. I sign up for a Reddit account, furnish my plot description with a few more details, give it a little extra polish, and post to the Tip of my Tongue subreddit, all in the vain hope that some kind stranger will either know the name of the book that I’m talking about, or know where to start looking. Long story short, some kind stranger posts the exact title of the book I’m looking for, sourced from an old scholastic book ordering catalogue, based off nothing more than my description of it and some other contextual information particularly regarding the time period I read the book in (even though that turned out to be off by about 10 years). 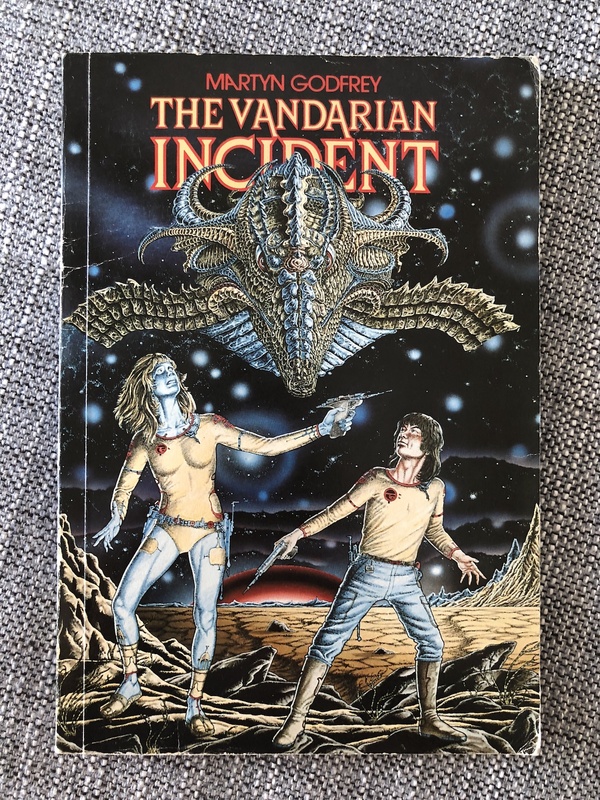 A quick Google confirms that yes, The Vandarian Incident is the exact book that I’ve been looking for, for years now. Total turnaround time, around 9 hours. Thanks to the internet, I now possess my very own copy of The Vandarian Incident by Martin Godfrey, which you see in the photo at the top of this post. It arrived last week, all the way from a bookshop in Evesham in the UK, a town with a population one-tenth that of my home town, Hobart. I told my colleagues that it had sentimental value, which it kind of does — even if it’s not the traditional kind of sentimental. There’s another story there, but it’s not The Vandarian Incident — which is, by the way, every bit as excellent as I remembered it being. And now I can finally put this one to rest. Finish this particular chapter, if you will. There’s a good Folklore story about intentionally making a mess in the video game Defender. Now, I’ve never played this game, but apparently it’s a side-scrolling shooter where you’re tasked to clear waves of enemies. The story tells us about members of the original Macintosh team who had a Defender arcade cabinet in the office and would play recreationally in-between working on the Mac, and about one guy in particular who had a, uh, slightly different approach to achieving a high score. I won’t spoil it for you, but the gist of it was about getting into precarious situations to gain experience. I know what you’re thinking, that probably sounds like a pretty normal strategy. 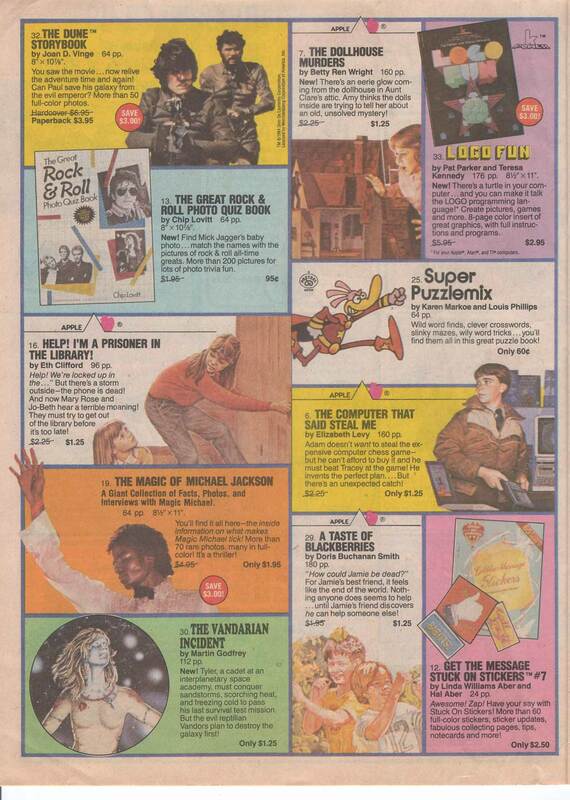 But remember, this was the early 80s. It was a time when video games were in their infancy, and where thinking outside the box to beat the game was practically unheard of. Intentionally getting into dire situations and intentionally putting yourself under that kind of pressure in “practice situations”, just so you could have some experience for when things went sideways for real was nothing short of creative, and maybe even more so because this was a video game. There’s some kind of take-home wisdom here, I’m sure. At the start of the year, I picked up a couple of new t-shirts. 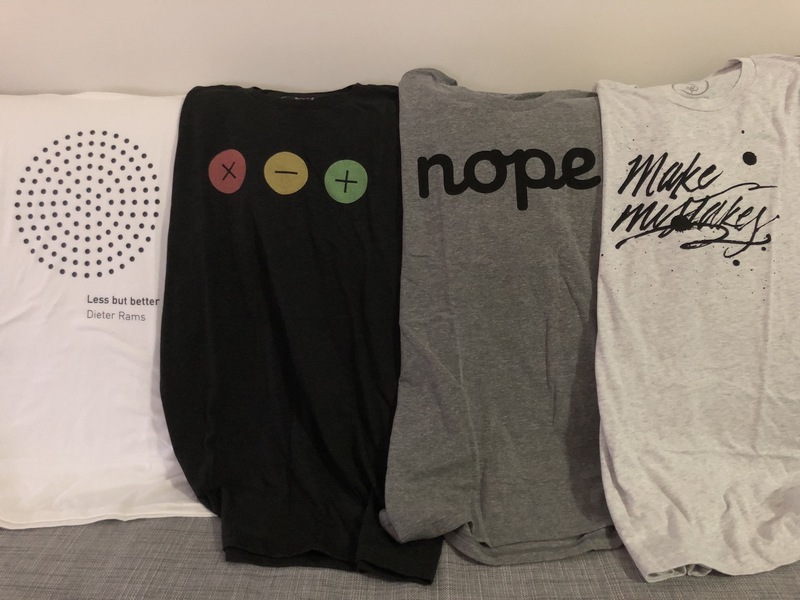 Crazy, I know, but they were on sale, and I thought Make Mistakes was representative of a philosophy I believed in — enough to wear it printed on tri-blend heather on my chest, anyway. The idea was that if someone was to come up and ask about it, I’d tell them that I strongly believed in making mistakes. That’s not saying I believe in being incompetent on purpose, or going out of your way to screw up, but making genuine mistakes. The kind you accept, learn from, and move on. Some would call that character building, but I just call it making mistakes. Which brings us back to making decisions. I’ve briefly touched on this before, but after thinking about it, I’ve started thinking: what if there are no right decisions? I came across an interesting piece which cemented my thoughts on this. There is no right decision talks about how we all have to make choices, all of which have consequences, and then somehow, we get this idea that there’s always a “correct” decision. And you know what? Maybe there is. With one big caveat: I can absolutely see myself arriving at a particular decision based on all the information available to me at the time, optimising for a particular outcome. At that time, maybe I do tell myself I’ve made the right choice. Here’s the rub: none of us knows the future. Even if we think, today, that we’ve made the right call, maybe two weeks from now we’ll miss out on a fantastic opportunity because of it. You should absolutely read the whole thing, but the takeaway is that there are no right decisions. That’s not saying you can’t make good decisions, but getting it right every time is something that you can’t — shouldn’t — expect to do. Which is a good thing, because sometimes things work out OK. I think this is usually called “getting lucky”, but we’ve all been there. Maybe we missed out on getting a promotion that we really wanted, but a really great role came up in another team. Maybe we skipped meeting up with friends, but met someone new who would later become our closest confidant. Sure, you’ll get unlucky as many times as you get lucky. You miss all the hooks you don’t throw, and all that. But just when we’re telling ourselves that we somehow attract failure, that we are somehow cursed with bad luck or something — what, you think you’re unique? — things work themselves out. And if they don’t, well, you’d be surprised at what you can live with.